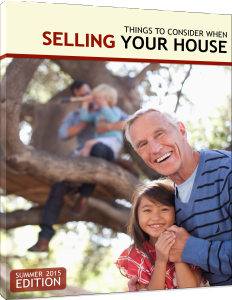 When selling your home – Think Neuse Realty. Moving from one house to another is an arduous task; packing alone can be overwhelming. But the big question is… How much can I get for my home? You don’t want to list it too low, but if it is listed too high – the house could sit on the market too long. Where is the balance? How do I put it on the market? How do I show it in its best light? Our team of professional agents not only know the local housing market backwards and forwards, but we can guide you through the selling process so you make the most money on your home. Make all minor repairs. Show you have taken great care of you home. Stage your home. Remove clutter, open curtains and remove unnecessary photos. Make your home a place the buyer feels like they can move right into. Neuse Realty agents can help you stage your home. Make sure it is clean as a whistle. A sparkling, clean home is more apt to sell quicker. The key to selling your home fast is to price it right. A fast selling home will make the most money. The longer your home is on the market, the less money you will make. Neuse Realty has local experience and essential raw data to help you price it right. We hire only professional real estate photographers to photograph your home in the right lighting and the best angles. We enhance the shots to ensure a quality image. We can create a virtual tour to show prospective buyers a 360 degree view of your home. Your home’s image and virtual tour is placed everywhere! It is uploaded to our website, Facebook, Instagram, Trulia, email newsletters, printed newspaper, community magazines, and MLS listings. We don’t miss a beat because we know it is numbers game – the more potential buyers that see your home, the faster it will sell. In today’s market, social media plays a big part in selling your home fast. We offer add-ons such as the Home Warranty Service Agreement. With an annual investment of $400-600, it is buying peace of mind for the seller and the buyer. Click the link below for more information on this optional benefit.